Small and medium sized business are the backbone of the American economy and have many of the same needs as our enterprise customers. This is why we offer them the same full service treatment that our large customers enjoy. 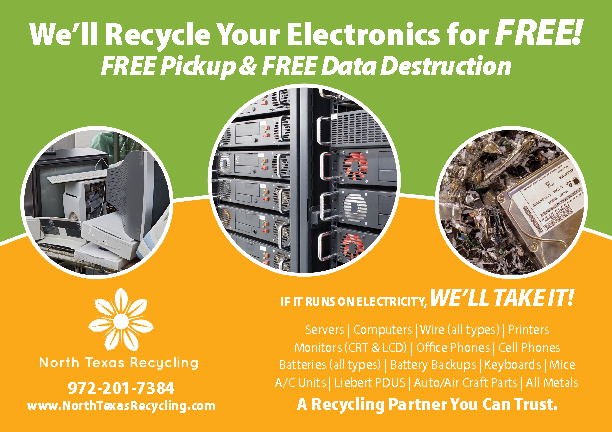 Whether you have electronic equipment, car parts, old appliances, or just a big pile of metal that you need recycled - North Texas Recycling is here for you. We can arrange for a roll-off to be delivered to your jobsite/office, or simply come and pick-up whatever you need out of your warehouse. 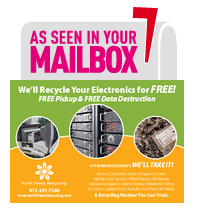 We can often get your business on the pick-up schdule within 24-48 hours.